Both Ben and John buy the same ‘internet marketing’ product. Ben goes through it. He gets everything he can out of it. He starts applying it. Along the way Ben takes a few knocks. He faces some unexpected challenges. But he goes back to the product and looks for references to these problems. In addition, he applies some basic problem-solving skills to find a way past these obstacles and keep moving forward. He starts seeing results. This is actually working! He invests more in his education and adds a few more skills. The profits increase. His business is growing. Along the way he experiences a few failures. But he sees them as learning experiences…and a nature of the game. Eventually he has a booming business that creates the income and lifestyle he is looking for. Contrast that with what happens to John. He buys the same product. And he goes through some of it before deciding he already knows most of this. But he decides to give it a shot anyway. So he gets started and half-heartily implements the first step. He runs into an unexpected challenge. He complains about it for a while and almost gives up, but he finds a way past it. He isn’t 100% certain this is the right answer, but it works. Then another problem occurs. John thinks there must be something wrong with this system. It should be easier than this. So he quits…and waits for an easier solution. What’s the difference between Ben and John? Lately I’ve realized just how important ‘mental toughness’ is to success online. Yeah…I know…it’s taken me a long time to figure out something that should have been obvious. 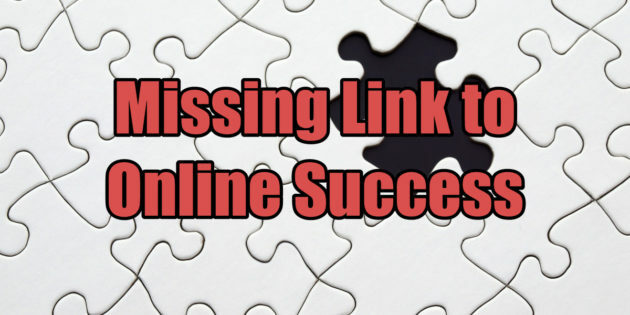 Everyone I know who has succeeded online has had to overcome challenges along the way. I don’t know if anything worked perfectly for me on the first try. Even when you’re following the right system, there is still a learning process. You don’t pick up everything when you first go through a product. You miss a few pieces when you first try out a system. Or you discover your market reacts a little different than others. Human nature stays the same. But there are little variations based on markets, customer expectations, competitors, and every other little variable. That’s why testing is important. The systems we use are often simple…once you break them down into steps. But it’s not easy…especially the mental side. You have to keep moving forward even when it seems hard. Others around you may tell you it won’t work. You may even want to give up at times. You can’t take failure personally, because failure is only temporary…and it’s a natural results of trying something new. If you’d like help on your journey, try out the Monthly Mentor Club. You get my detailed reports every month, plus dozens of my past issues, just for giving it a try. Plus you can ask advice from the other members and me in the members-only group discussion area. I’m not promising you that it will be easy. But I am promising to show you the steps you need to follow…and give advice along the way to help you reach your goals faster.